Jonathan Mellody is a full time Case Manager, Accredited Police Station Representative and Prison Law Supervisor for MK Law. 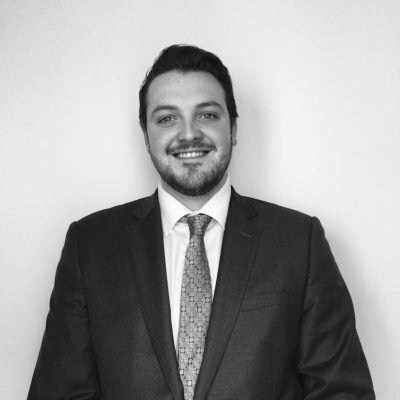 Jonathan has been involved in criminal defence since 2010 and has a passion for providing client’s with the best defence work possible. Jonathan is involved in cases from the start at the Police Station all the way through until the Parole Board if they are convicted. Therefore he has a keen eye for how cases should be run and how the entirety of the Criminal Justice system works. Jonathan is meticulous in his case preparation ensuring all avenues are explored in order to ensure that the best result possible is achieved. R v W and others; Acted as litigator for a client accused of trafficking firearms along with six other defendants. R v K; Acted as litigator for client accused of attempted murder, this was successfully argued down to reckless wounding with intent. R v M; Acted as litigator for a client acquitted of poisoning her husband. R v VR; Acted as litigator for a client acquitted of possessing a firearm with intent to endanger life. R v P; Acted as litigator in a complex child grooming case where the defendant was ultimately acquitted. R v A; Acted as litigator in a second strike knife case, where it was successfully argued that she should be sentenced under the exceptional ruling and therefore not receive a minimum custodial sentence of 6 months. R v C; Acted as litigator for client accused of GBH, the defendant had serious mental health problems and residence in a secure mental facility was obtained. R v A; client charged to appear with £1million worth of ‘Possession with Intent to Supply – Class A – Cocaine’. Application to dismiss made and was successful and charge dismissed. Prison v K; Successfully secured an acquittal in relation to possession of a mobile phone. Prison v K; Successfully secured an acquittal in relation to possession of drugs. R v W; Successfully secured an acquittal in relation to possession of a mobile phone. R v H; Successfully appeared before the Parole Board in order to obtain the defendants release.